The Cruze is one of Chevrolet’s best selling models, and Car and Driver knows why. 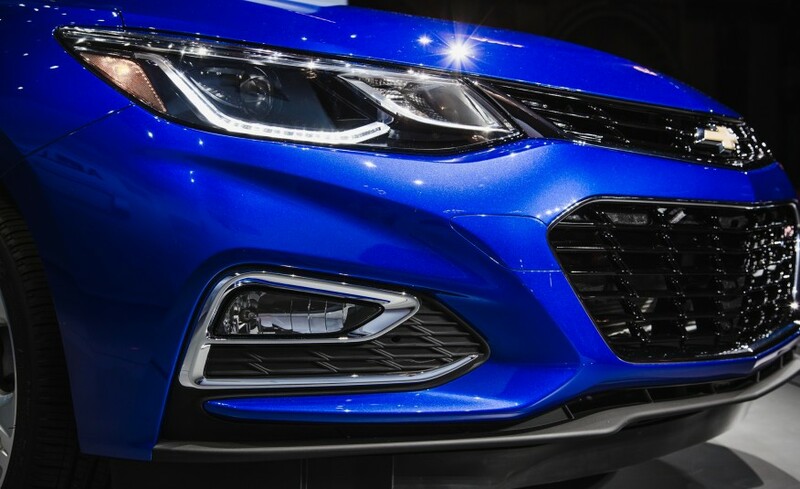 Hear what they have to say about Chevrolet’s newly redesigned 2016 Cruze. An aggressive diet, more power, and more upscale features look to keep Chevy’s compact in the fight. No vehicle in Chevrolet’s lineup is more apple-pie-and-baseball American than theSilverado pickup truck, and it fits that it’s the brand’s bestselling model in the U.S. Leave our borders, however, and a rather different Chevrolet model carries the bow-tie standard: the Cruze. Indeed, the small car has attained top sales status for the Chevy brand globally. And stateside? Last year, the Cruze placed second, moving 273,060 units to the Silverado’s 529,755. So the second-generation, 2016 Cruze needs to hit the mark if Chevy wants to continue cruising its compact-car wave. Chevrolet binned the outgoing Cruze’s unassuming look for a more expressive, sleeker design this time around. 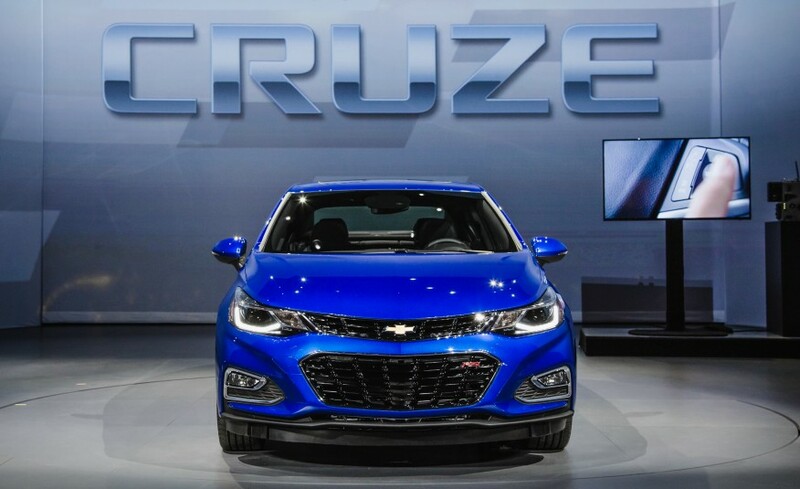 Thanks to its all-new D2 front-drive architecture, the Cruze gains 0.6 inch of wheelbase and 2.7 inches of overall length, a move that does as much for the sedan’s back-seat accommodations as it does for its styling. Word is a five-door hatchback will be offered to Americans this time around, too. The sleek, tadpole-shaped body (not unlike that of the Hyundai Elantra or the Honda Civic) replaces the old car’s more upright, traditional three-box silhouette to good effect. There’s more detailing front and rear, and the car’s face, at least, makes a solid connection to the upcoming new 2016 Malibu. The Malibu association runs more than skin deep; much like Chevrolet’s mid-size sedan, the newest Cruze not only has a massively improved interior, but it has undergone a dramatic weight loss, too. 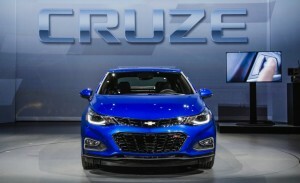 The curb weight has been lowered by a claimed 250 pounds, a remarkable figure given the Cruze’s utter lack of exotic materials. The predominantly steel body structure loses 53 pounds itself. The standard 1.4-liter Ecotec turbocharged four-cylinder engine is 44 pounds lighter than the old Cruze’s optional iron-block 1.4 turbo thanks to its aluminum block, and it’s also lighter than the discontinued naturally aspirated 1.8-liter four. Engineers pulled another 24 pounds out of the Cruze’s available six-speed automatic transmission—a six-speed manual is standard—and despite using a similar mix of aluminum and steel componentry, the suspension bits are also slightly lighter, we’re told. The car’s interior gets a fresh design and nicer materials. The center stack houses an all-new, quick-responding seven-inch MyLink touch-screen display compatible with Apple CarPlay and Android Auto phone-mirroring solutions, and an eight-inch version is optional. An extra two inches of rear-seat knee room opens up the Cruze’s tight rear quarters. In fact, the back seat is now roomy enough that cracking a laptop back there and putting the Cruze’s standard 4G LTE data connection and built-in Wi-Fi hotspot to use is something we’d actually consider trying. 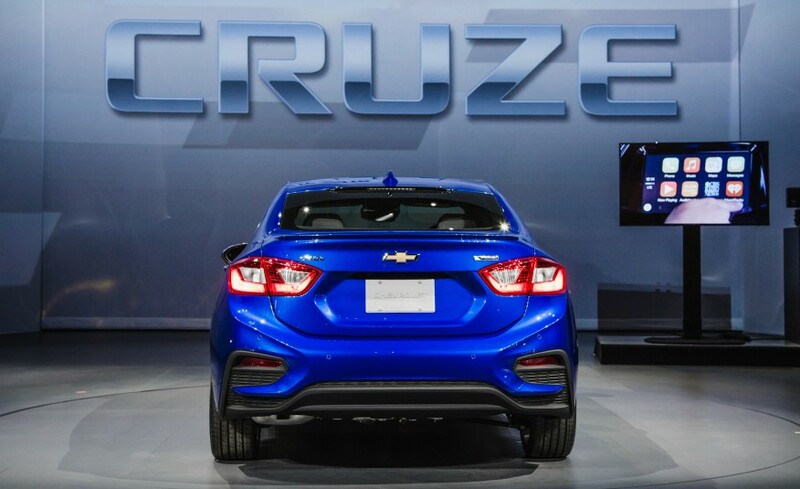 In this age of relatively cheap gasoline, we’ll report that the new Cruze should be slightly speedier before discussing efficiency improvements. Thank the diet as well as the turbo engine from General Motors’ latest Ecotec small-engine family. 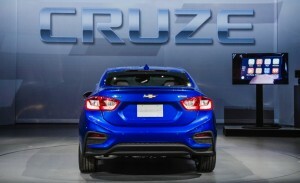 The 1.4-liter’s 153 horsepower and 177 lb-ft of torque is claimed to move the Cruze to 60 mph in eight seconds flat. Seeing how first-generation Cruzes we’ve tested were capable of such zip, we expect the new model to be slightly quicker in our testing. Reduced mass enhances handling and agility, which hopefully also benefit from the new suspension tuning (the Cruze’s strut front and twist-beam rear suspension designs and the rack-mounted electric-power-steering system are similar to before). Gas might be cheap, but you can’t debut a new car today without boasting about some kind of fuel-economy improvement. 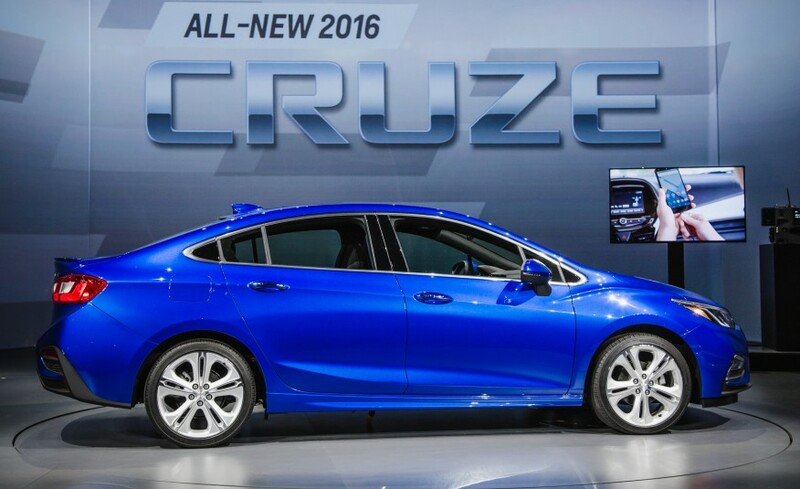 The Cruze is no exception, and Chevy elevated the car’s mpg in a straightforward, engineering-focused way. The car’s aerodynamics are one example; unlike the previous Cruze, they aren’t enhanced by active grille shutters or extensive underbody paneling. Instead, the body’s sloping roofline, chamfered corners, and subtle design elements do the work. Combined with the new turbo engine and automatic transmission—again, a six-speed stick is standard—Chevrolet thinks the Cruze will crack the 40-mpg-highway barrier, no special option package required. The only gas-fed previous-generation Cruze capable of more than 40 mpg on the highway was the Eco model; the diesel version, which will return in 2017 with a new 1.6-liter engine, also crested the mark. The 2016 Cruze does everything expected of a new-generation car—gain power, gain efficiency, gain features—but it does so while also reducing complexity and, ostensibly, weight. The Cruze may never be as patriotic a choice as something like the Silverado, but wherever it’s driven, the newest iteration will seemingly fly the flag of smart engineering. We look forward to sliding behind the wheel on American soil soon.